16:30: Changes in the Political Paradigm and Executive Presence and Personal Branding. Visiting Professor at IE Business School. In the past, he has worked in senior positions in several international companies, and served as an officer in the United States Marine Corps. He is the co-author of Constructing Cassandra: Reframing Intelligence Failure at the CIA, 1947-2001, published in 2010 by Stanford University Press. In addition to teaching "Geopolitics" and "Intelligence Tools for the Business Professional", Milo serves on several boards and consults on strategy and the application of intelligence frameworks to business and financial problems. He is currently researching the geopolitical impact of automation and digital technologies. 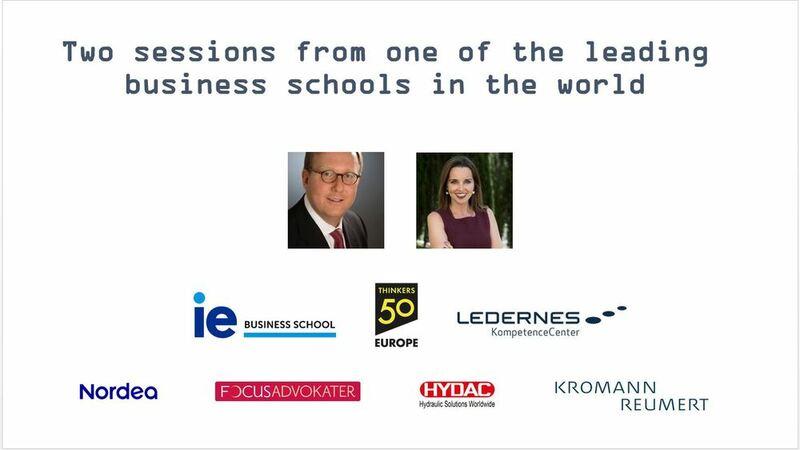 Co-founder and Managing Director of Wigmore & Álvarez and Executive Director of Career Services at IE Business School, IE Law School and IE University. Amber Wigmore manages a team of more than 30 people who deliver services to IE students and more than 54,000 alumni globally. She teaches workshops as Professor of Career Strategy at IE, and also currently as a Visiting Professor at Brown University as part of the IE Brown Executive MBA program. She actively engages with major corporations and senior executives as part of the regular course of her work, and she’s an active member of the Associate of Executive Search Consultants , and the European Foundation for Management Development, specifically around career advancement issues.